Louis Vuitton 2018: Last year, the cruise collection’s show held in Rio de Janeiro, Brazil. 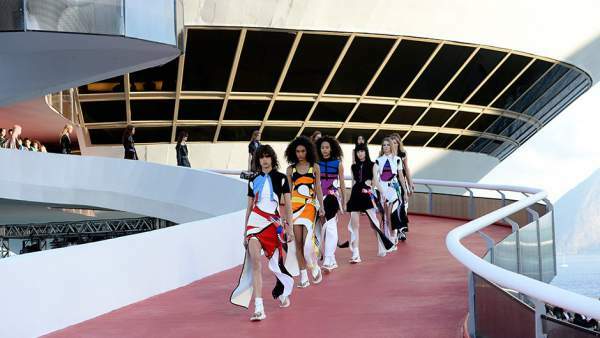 The live stream of LouisVuitton cruise show is available on the page. You don’t need to go anywhere else this year. It will start at 4:15 am ET today, Sunday. Also: Wishes for Mothers Day. It is going to take place in Japan. So, you need not worry if couldn’t make it to the Land of the Rising Sun to watch the same with your bare eyes. However, you can now watch it online on the screen in front of you. The fashion house’s presentation is also available on Louisvuitton.com. The program will be held at the Miho Museum, the venue, designed by IM Pei. The sweeping views could be seen which surrounds the area located outside of Kyoto. The news of selection was shared by Ghesquière on Instagram in April this year, uploading a photo of the landscape. Check: Quotes on Mothers Day. Let’s get ready to witness some Japanese culture. The new LV resort collection is inspired by Kyoto’s rich scenery, from blood-red sunsets to lush forests. Share: Images on Mother’s Day. Stay tuned to TheReporterTimes for latest fashion news and entertainment updates around the world. Next articleUFC 211 Results: Who Won Miocic vs dos Santos 2?